Sherlin Alpacas are proud to offer this extremely smart Alpaca dress sock to the market. The Alpaca dress sock is a super lightweight, comfortable, everyday dress sock with a touch of class and elegance. 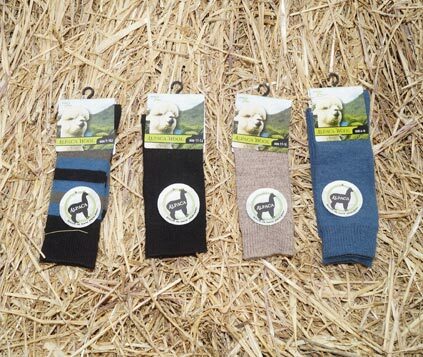 These luxury Alpaca dress socks are made up of 56% Alpaca, 42% Nylon, 2% Elastane and are manufactured here in New Zealand. Cold machine wash, line dry. PLEASE DO NOT TUMBLE DRY. The dress sock comes in 4 colours: black, blue, fawn and striped blue/black.